Bihar: PG medical education in the state government colleges may become more expensive for many aspirants from now on. The dearness comes, not in the form of fees, but in the form of 2 compulsory bonds that the aspirants pursuing PG courses at government medical colleges will be made to sign. Those who wish to avoid doing the three years compulsory rural service will have to pay penalty of Rs 25 lakhs to the government. The daily goes on to add that a sizable chunk of seats of para and non-clinical courses in various medical colleges were vacant for the entire session, as those pursuing PG in these courses switch to clinical sections. “The practice led to shortage of teachers of non-clinical sections of medical colleges,” said a senior officer of the health department told HT. “There are 477 seats for PG courses in six medical colleges, including those located at Patna, Darbhanga, Bhagalpur, Muzaffarpur and Gaya. However, on an average, 450 students pass the courses every year,” they added. Last year Bihar Public Service Commission advertised for around 2700 specialist posts but only manage to recruit 600 PG doctors. The MBBS and PG training in Medical Colleges of Bihar is not up to the mark according to MCI guidelines in respect of Infrastructure and Manpower. Govt is running only the hospital attached with the Medical colleges. Good move by the Bihar Government. 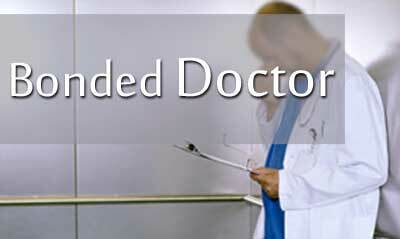 I am sure more than 70 % DOCTORS after completion of pG course, will pay 25 lakhs and avoid working for the Government. The 25 lakhs too Less for the clinical SPECIALISTS. It should be minimum of a CRORE. It is alright for pre clinical subjects like Anatomy , physiology and biochemistry. And para clinical subjects it should be minimum of 50 lakh rupees. I THINK such stupid ideas are from the offices of the Babus. Babus are very good at misguiding silly Politicians with no or minimal knowledge about their ministry. ( The present Minister should have consulted some Decent Doctors who have plenty of knowledge in the Field of MEDICAL EDUCATION, instead of listening to the Babus). These Babu\’s keep on changing their DEPARTMENTS on a regular basis, and less likely to have knowledge about the system in true sense. I think it is a set back for the country to be ruled by the Babus ( Beurocrats). We badly need TECHNOCRATS for the progress of the country not the Babus. Even though it is a good decision , unfortunately going to create lot of problems to the Government ( bad name) . The Bihar GOVERNMENT should rethink and consult the Professional in that particular Field , in this case the honest Faculty Members from the Department of MEDICAL COLLEGES/ Education . This is called desperate decision by desperate system. Oh my poor government take 1carore from me and you first go and live with your family happily in those \’rural\’ areas. Listen you fool I can\’t live even in your so called towns then how can I go to your so called rural areas. There are many places in world which are safe, developed and resourceful. Don\’t you know the fate of such decision in other states? It has a overall negative impact.